A WindowBlinds skin can make Windows look like an alternative operating system, like their favorite sports or car brand, or something completely new. 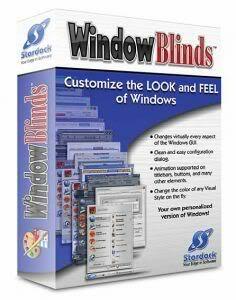 Because WindowBlinds uses the latest hardware acceleration features of modern video cards, WindowBlinds won't slow down your computer and uses very little memory. woi curik aku nye gmba..haha..upkan windows weh..
hahaha gmba ko ke...mne aku tau hahaha. hmm..windows pe ko nk?nnt aku try. klu bole sume..upkan xp sp1,sp2,sp3 ngan vista skali..